The SmartClean® Robotic Vacuum offers automatic, effective cleaning whenever you want, all over your home. Its powerful suction gathers debris, dust, and hair so you don't have to. This wireless robot vacuums navigation system provides excellent coverage along edges, corners, even under furniture and other hard-to-reach places. The SmartClean Robotic Vacuum offers automatic return to its self-charging docking station, scheduling cleans when it's convenient for you. 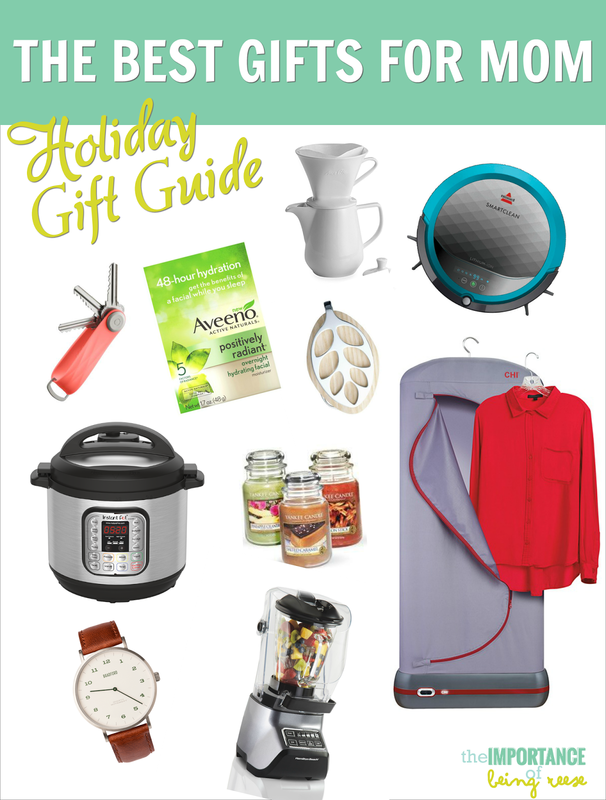 I'm starting off this gift guide with with Bissell Smart Clean Multi-Surface Robotic Vacuum for a reason. Before the Bissell SmartClean® showed up at my front door, I typically vacuumed our house AT LEAST 3 times a week. I am obsessive about keeping a clean carpet. In my eyes, if there's visible dirt on our carpet, it makes the house look messy. I've had the Bissell SmartClean® for two months, and I have drastically cut down on the time spent vacuuming our carpet. Now I typically vacuum once a week and that's just for the touch-ups. I let the Bissell do the heavy lifting while I take care of other tasks. And by other tasks, I mean drinking coffee and catching up on Grey's Anatomy and Scandal. Priorities right? The Bissell SmartClean works on both carpet AND hardwood. Simply press the button, stand back and let it do it's thing. It has 80 minutes of battery life, so it can clean your entire house on one charge. You can also schedule your vacuum session, and once it's done, it will automatically return to the docking station. If you are truly looking for a gift for mom this season, this should be at the top of your list. It's a bit of an investment, but moms spend 90% of their days investing in their families, every once and a while, it's nice to invest in something that will help mom out around the house. The Bellabeat Leaf is an innovative product that help women easily track their overall health and wellness, and get connected to their body and mind throughout different stages in life. Built to help you find your true, powerful, healthy, confident and amazing self, it comes in two different designs: Bellabeat Nature and Bellabeat Urban. Each device provides you with essential information including daily activity, sleep, meditation, stress prediction and periods. Raise your hand if you have a Fitbit *raises hand* Fitbits are a dime a dozen these days, but they are shortsighted in many, many ways. For one, they don't monitor essential information that women rely on, like when our menstrual cycles are about to begin. Or stress prediction. Plus, unlike most fitness trackers, it's actually pretty to look at and will blend into your daily life, no matter the occasion. I've had the Bellabeat Leaf Nature for nearly two months and it's had plenty of time to grow with me. As my pregnancy has progressed, getting adequate sleep and cutting down the stress have been two significant focuses in my daily routine, and the Bellabeat Leaf has really helped me get a handle on both. I really enjoy the inactivity alert, which vibrates if you've been inactive for too long. This is especially important if you're like me and spend nearly ALL DAY in front of a computer. It's a great reminder to stand up and take a quick walk or squeeze in a short fitness session. One thing the Bellabeat Leaf does that I've never seen any fitness tracker do: it encourages you to meditate daily. Though I'm not the most dedicated yogi, I can appreciate this feature because daily breathing exercises have been shown to lead to less stress and increase energy levels. 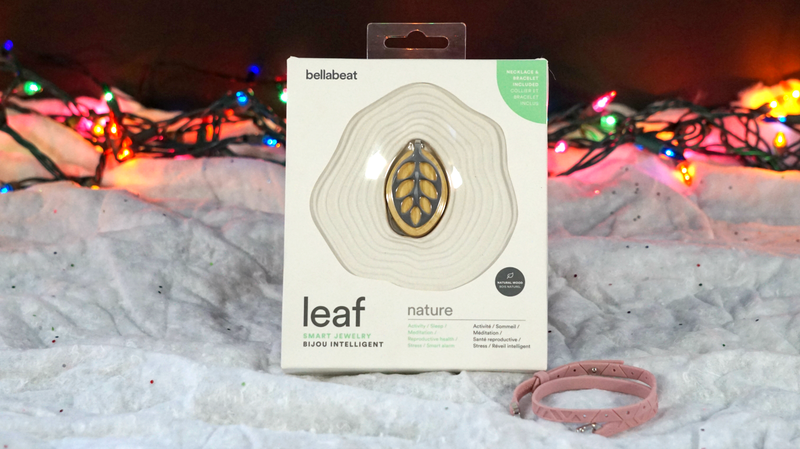 If you're looking for a great gift idea for mom that will help make sure she's taking care of herself, the Bellabeat Leaf is a great place to start! 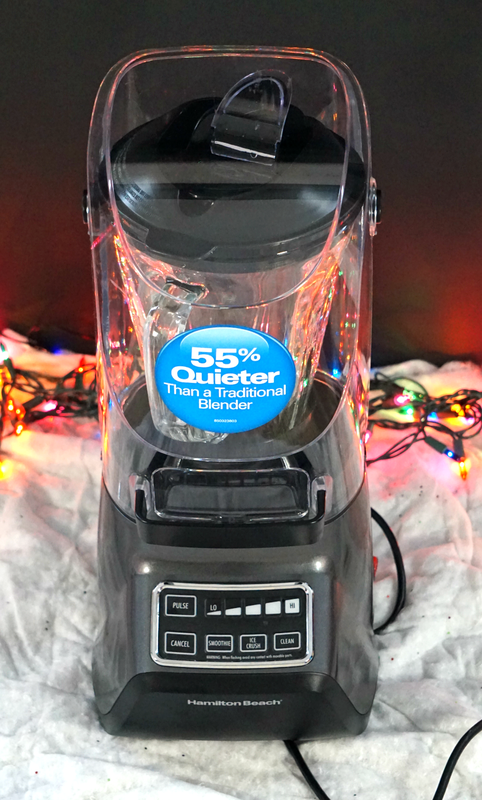 The Sound Shield Blender is one of Hamilton Beaches latest releases, and it is perfection. Many times I've been in situations in which I've wanted to enjoy a fresh smoothie, but have to walk away in fear of waking up my kiddo (and in some cases my husband). As mentioned in the lead paragraph, it reduces noise by 55%, which is pretty significant when you're attempting not to wake a sleeping baby. So far I've used it to make smoothies and tomato soup, but when Baby Boy gets here, I have every intention of using it to puree some baby food for him. It does a fantastic job blending efficiently and evenly. As a serious smoothie lover, I've had my share of blenders that leave chunks behind, this one blends it all to perfection. No chunks in sight! For obvious reasons, this is a GREAT gift for moms. It allows them to enjoy their daily smoothies, and experiment with various recipes without having to sacrifice their sanity by waking up a still tired kiddo. Instant Pot® Duo is a smart Electric Pressure Cooker designed to be safe, convenient and dependable. It speeds up cooking by 2~6 times using up to 70% less energy and, above all, produces nutritious healthy food in a convenient and consistent fashion. It comes equipped with 14 smart built-in programs all designed to make your life easier. If you've been under the rock, you've still likely heard of the Instant Pot. They first came into popularity last year. I brushed it off thinking I already had a crock pot, so why get an Instant Pot. Then a few months ago, this showed up on my doorstep, and I have since seen the light. For one, the Instant Pot cooks faster than a traditional crock pot, and in my very humble opinion, provides better results. Believe me, it's incredibly difficult to write this, because I have always been a fan of my trusty crock pot. It has gotten me out of some tight dinner jams. But I was able to cook a roast in about 45 minutes, vs the typical 7-8 hour wait with the crock pot. That pretty much speaks for itself. In addition to faster cooking, the Instant Pot also comes with tons of additional settings and features that you won't find on a crock pot. For instance, you can actually saute food in your Instant Pot. There is also a setting for rice, soup, yogurt and meat stew, so it removes all the guess work from cooking. And it is so easy to clean and requires much less energy usage than the stove. In fact, I have a friend who swears by the Instant Pot so much, she cooks roughtly 80% of the time with the Instant Pot. I'm not quite there yet, but I do typically use it a few times a week. 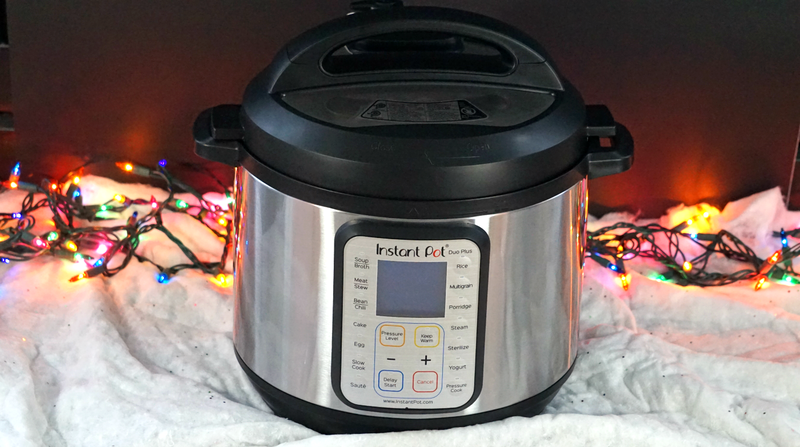 The Instant Pot is the PERFECT holiday gift for mom. If you love her and really want to give her a gift that actually helps her around the house, this is the way to go! The CHI Easy Steam is a de-wrinkling game changer. It smooths your clothes with powerful steam, and the best part is, you barely have to lift a finger. The magic all happens in the breathable, fabric garment bag. Simply hang from a convenient spot such as the back of a door, a shower rod or the closet.Next, place one item on the built-in hook and zip up the bag. With a tap of the button, the steaming begins. I had the opportunity to get a live demonstration of the CHI Easy Steam at BlogHer17. From that point on, I knew I had to have it. I am NOT a fan of ironing, but I also hate wrinkly clothes. You see how this could be a problem? This pour over is an elegant way to brew coffee in the time-honored Mellitta tradition of pour-over. The carafe holds up to 36 oz of fresh brewed coffee. There are pour overs, and then there are pour overs. This is basically the top of the line, elite pour over that is PERFECT if you are the type to entertain frequently. When it comes to coffee, we're a bit traditional in our taste, so having a pour over that can brew six cups of fresh, earthy, delicious cups of liquid gold is pretty much amazing. It is dishwasher safe, which is awesome if you're like me and hate extra dishes. Aesthetics wise, it has a classic design that will fit in during your Sunday brunches, or evening entertaining. Basically it fits in well for any occasion. This gift if perfect for the classic lady in your life that loves to entertain and keep company happily caffeinated. Bonus; Pair it with a few bags of Vienna Roast coffee to add an extra special touch to your gift! Even though we've all become reliant on our cell phones, I've always believed that we should all have at least one classic watch that we rock for any occasion. 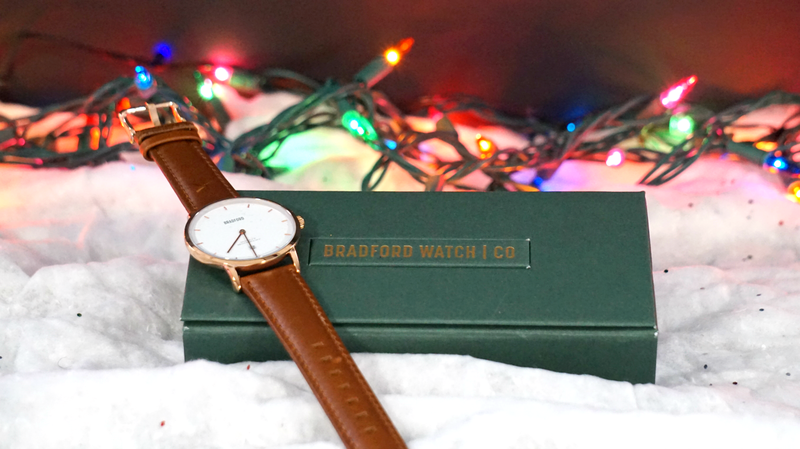 The Bradford Watch is that watch. Each watch from this collection comes with a genuine leather band that doesn't wear out with use. I've had the opportunity to wear this watch on multiple occasions, and it has always complimented my outfit. It's simple so you don't have to worry about spending a ridiculous amount of money on several watches to pair match them with various outfits. It's pretty much the perfect gift that mom can always carry with her, and it isn't overly expensive. This is the perfect gift for the timeless woman in your life who prefers a touch of the classics. The Orbit Key Ring is a beautiful accessory that you'll be proud to carry. Not only is it attractive, but it significantly reduces noise and helps you stay organized by eliminating the clutter. The Orbit Key comes with several add on features, including, an 8/32 GB USB, a bottle opener, and a multi-tool. The Orbit Key was surprisingly one of my favorite picks for this year, once again proving that you don't have to spend a ridiculous amount of money to make someone happy. The Orbit Key comes in a variety of colors and materials, but the Peach Echo immediately jumped out at me. It's bright, funky, fun and makes the perfect addition to my key ring. In addition to the ring itself, I was sent an 8 GB USB, which remains attached to my Orbit Key Ring. Like most moms on the go, it's nice to know that I'll always have the option to backup or save any work, no matter where I am. This is especially important if you spend a significant amount of time on the computer (so blogger husbands, consider this gift for your blogging wives this season, they will thank you for it). I'm a fan of packaging, so I enjoyed the extra detail and quality packaging it arrived in. 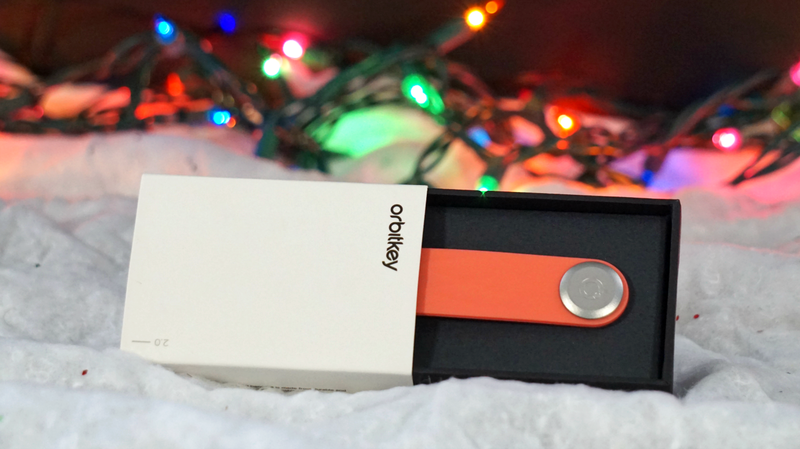 The Orbit Key proves that good things often come in small packages. It's a quality gift for mom that's right on budget! Warm Luxe Cashmere: The sensuous feel of a soft cashmere in a scent that's both creamy and luxurious. White Sage: An elevated mixture of sage and citrus, finessed with sea salt and sandalwood to subtle elegance. Honeycrisp Apple Cider: A scent that revives and relaxes—fresh Honeycrisp cider warming up a glass. Sweet Fig and Pomegranate: An exotic pairing of lush fig and sweet pomegranate—rich and so indulgent. Each of these candles burns 35-45 hours. And for the price, they're the perfect addition to any Holiday baskets you may have planned. Wake up to rejuvenated, radiant, healthy-looking skin with the POSITIVELY RADIANT® Overnight Hydrating Facial. Formulated with ACTIVE NATURALS® Soy, it works through the night to deeply hydrate and nourish skin, leaving skin ultra-soft, revived and supple by morning. As a busy mama on the go, it's incredibly difficult to carve out time for myself. For the past two months, Aveeno Positively Radiant has helped me get spa-like results from the comfort of my home. It moisturizes without making the skin too oily, which is a major plus for me because I already have oily skin, and leaves my skin feeling firm and supple. Aveeno Positively Radiant is the perfect addition to a beauty basket you may have planned for the special woman in your life. It's not expensive, and can be paired with more Aveeno products to round out the gift. If you're new to basket making, be sure to add other fun spa essentials (exfoliating gloves, candles, bath salts, etc.) to give it a special touch! To win a $10 Amazon Gift Card, be sure to follow the instructions on the Rafflecopter widget. Contest is open to U.S. Residents, 18 years+ Winner will be given 72 hours to respond to notification email before another winner is selected. Be sure to tune in tomorrow for some some great gift ideas for the special guy in your life! I would like the ORBIT KEY RING/ USB. 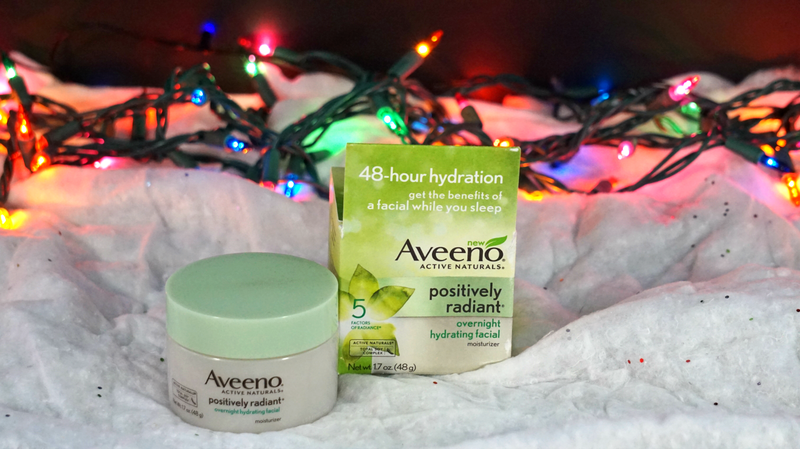 AVEENO POSITIVELY RADIANT OVERNIGHT HYDRATING FACIAL - I have tried Aveeno products before and have been happy w/ them. 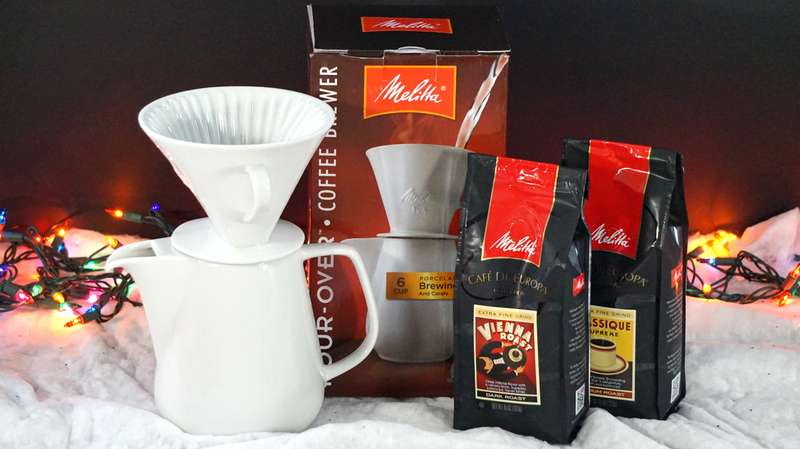 The MELLITTA 6-CUP PORCELAIN POUR-OVER COFFEEMAKER SET looks great. Would love to try the Instant Pot! Bissell SmartClean Multi-Surface Robotic Vacuum. 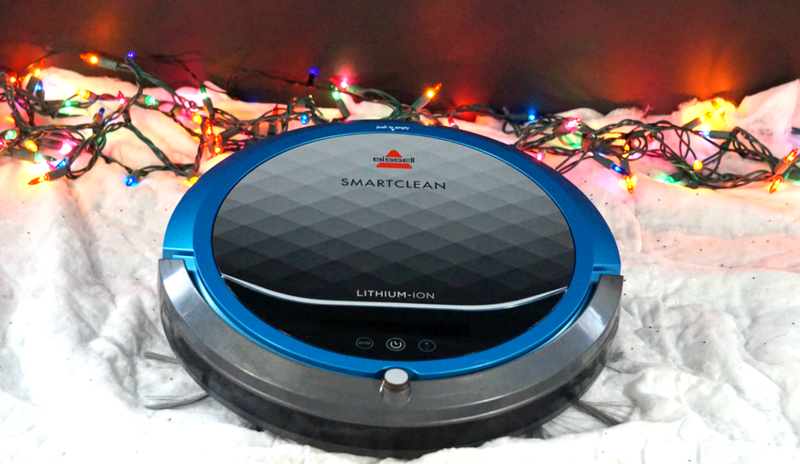 I'd love to have the BISSELL SMARTCLEAN® MULTI-SURFACE ROBOTIC VACUUM . I'd love to have the Hamilton Beach blender! 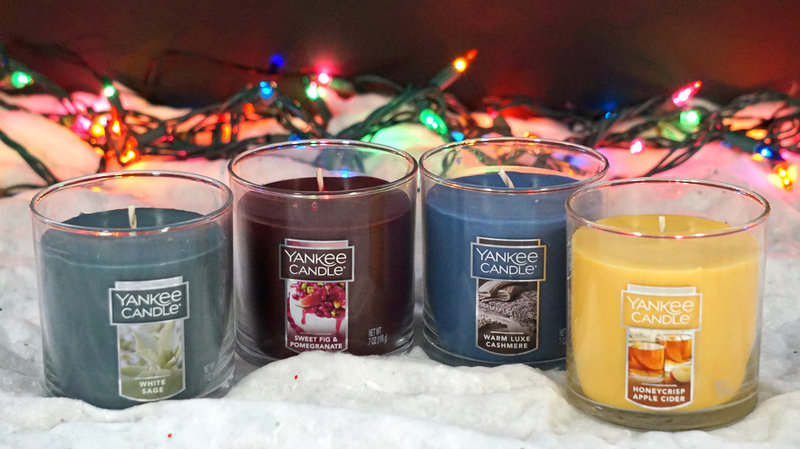 I would love the Yankee candles! I'd love to have the Orbitz Key Ring. I love them all but my top pick it the instant pot. I would love the robot vacuum. I love the candles. Those would make such a wonderful gift! I love the Aveeno Positively Radiant. The Instant Pot Duo Plus! I love the SmartClean® Robotic Vacuum!! I'm tied between the SmartClean Robotic Vacuum and the Instant Pot Duo Plus! I would love the Instant Pot Duo plus. I think my husband would love the MYCHARGE RAZOR PLATINUM CHARGER! I've been wanting an Instant Pot for over a year now! The INSTAX SQ10 camera looks like it would be a fun gift. I want one!